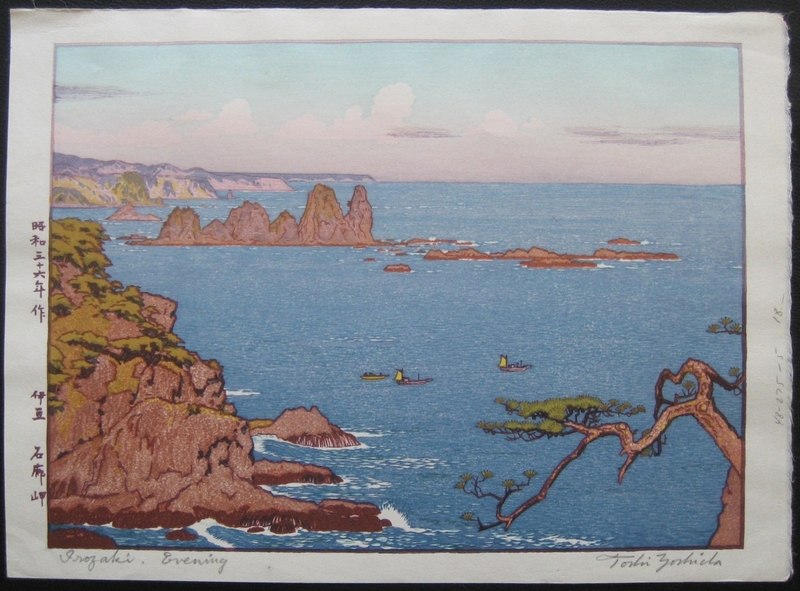 Description: This is the final print from the Irozaki 'series' of Morning, Day, Afternoon and Evening by Toshi Yoshida. The print is approximately 9 1/2 x 13 1/4 inches. The print has a galleries catalogue number printed in pencil on the right hand margin. Both Irozaki Morning and Irozaki Day appear in "A Japanese Legacy - Four Generations of Yoshida Family Artists" page 95 plates 59-60.